Here at Go Auto Outlet, we carry one of the widest varieties of used vehicles in the Edmonton and Red Deer area. Sometimes, we underestimate how large our used vehicle inventory is, and we end up overlooking a few of them. Additionally, there are some key features on our vehicle pages that deserve a more in-depth look at features they may have missed. That’s why we started featuring some of our value vehicles on our blog so you can always stay up-to-date on our latest vehicle offerings. This week’s featured vehicle is a 2010 Toyota Matrix Base. This model comes in a FWD drivetrain with a 4-speed automatic transmission and 5-person seating capacity. Also, this Toyota Matrix only has 112,996 kilometers under its odometer, so this vehicle has a lot more drive to give. Four our in-depth look at this fantastic vehicle and others we’ve featured, stay tuned to the Go Auto Outlet blog for more information. 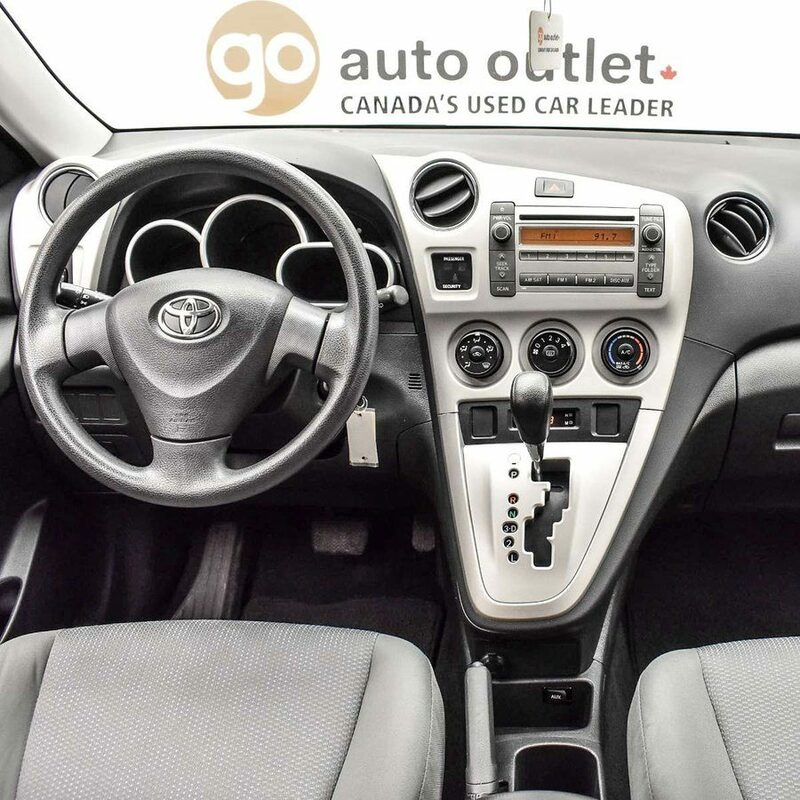 You’d be surprised to learn that this Toyota Matrix offers a lot for its price point and size. 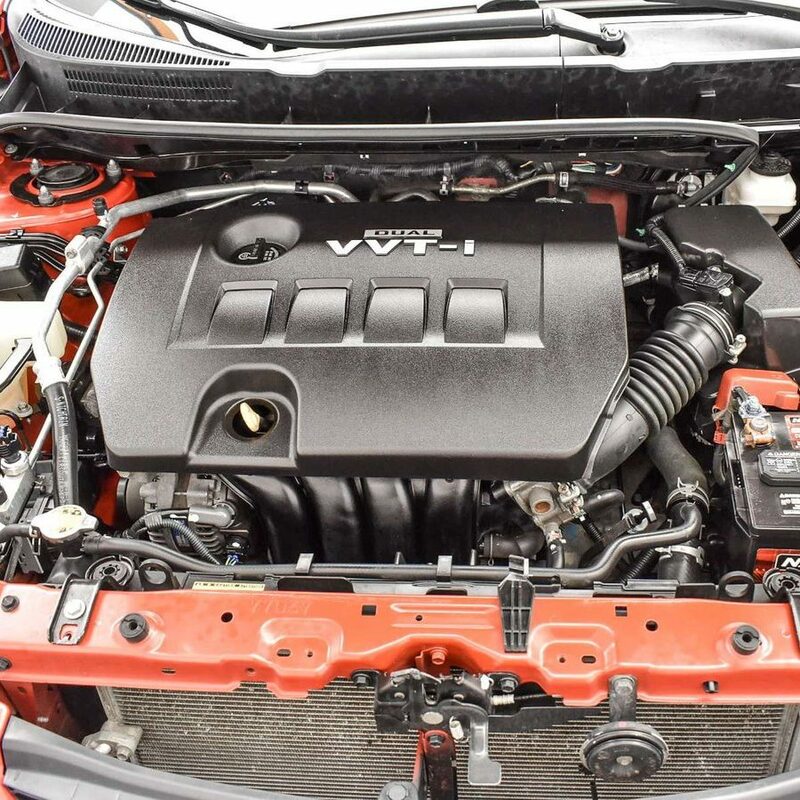 With its convenient 1.8L 4-cylinder engine, this Matrix can give at least 132 hp worth of horsepower, as well as 128 lb-ft of torque. With that in mind, the vehicle’s performance matches how great its fuel consumption is. In the city, it gives you 8L/100km while you get 6L/100km on the highway, with a overall fantastic total of 7.1L/100km. If you need a practical vehicle with great fuel economy, then this Matrix may be one of the best solutions for you! One of the standout features on this Toyota Matrix is its most visible when you look at it from a glance. 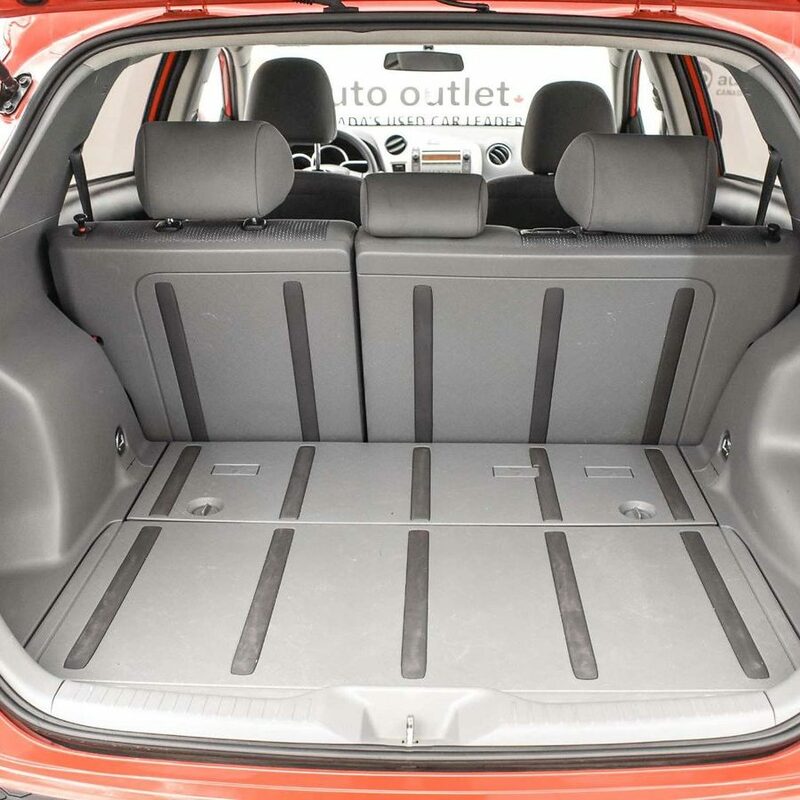 From behind, its hatchback door gives you access to plenty of cargo space inside the Matrix. It’s initial 561 litre cargo capacity may not be a lot at first. But when you take advantage of its 60/40 split folding back seats, you can get a maximum capacity worth more than double that amount! So yes, you can make way for that extra dining table! You’ll have 1,398 litres worth of cargo capacity when you need it! That was just a quick overview of the many features and specs included with this 2010 Toyota Matrix. If this vehicle doesn’t grab your attention as much as another one, it’s not a problem! Go Auto Outlet can help you find a different one that better suits your needs. Ask us question online or in-person at our dealership! If you already have a vehicle in mind, don’t wait! Book a test drive on our website to get yourself started right away!